Onions are one of the basic ingredients we should have constant supply of. And onion leeks are always good addition to soups and salads. Now my onions aren’t always all used up. 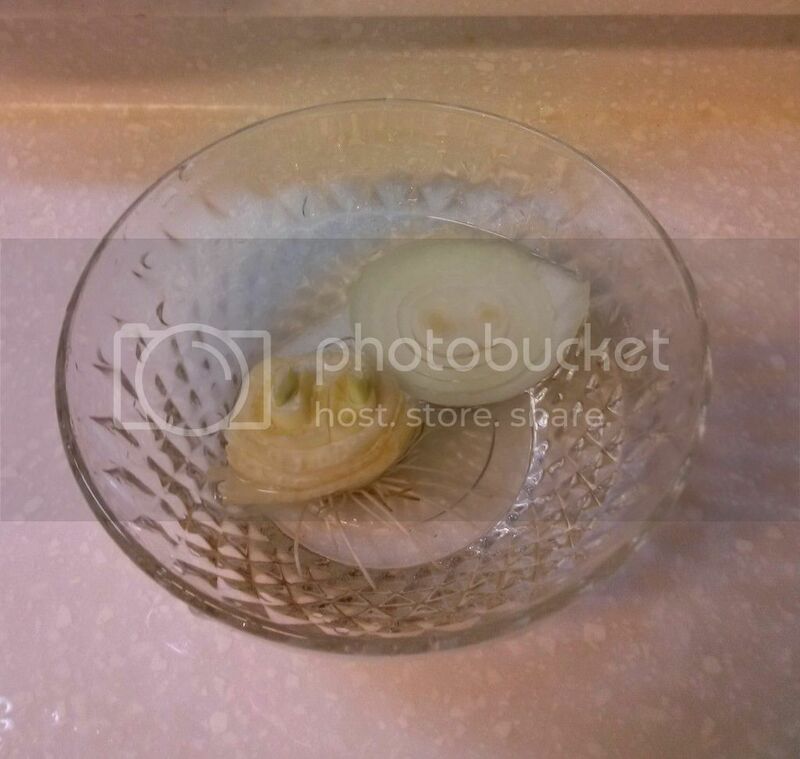 When I saw that it’s possible to grow onions in my kitchen, I immediately cut off the bottom part that has roots in it. Bottoms submerged in water, these onion left-overs will grow shoots and you will have never-ending supply of onion leeks. 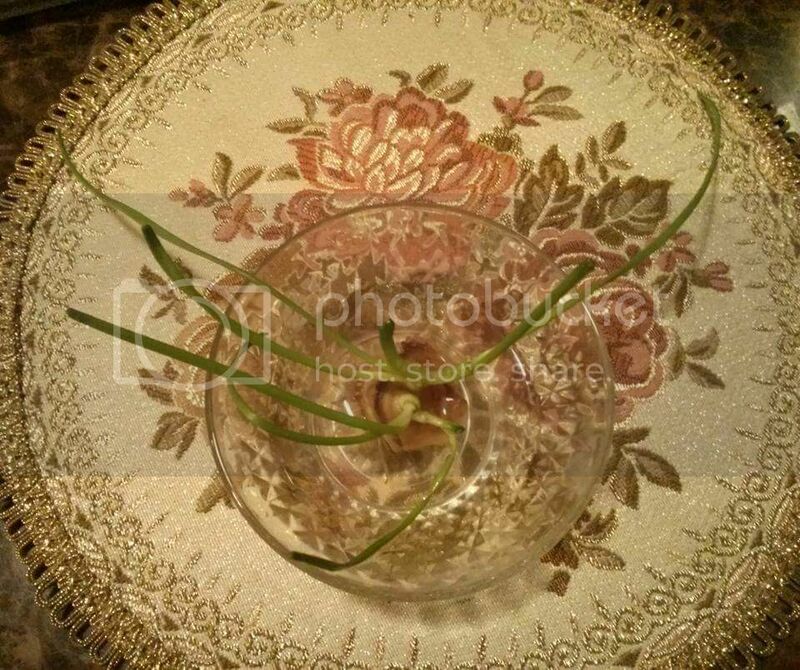 One onion base will have several shoots growing from it. 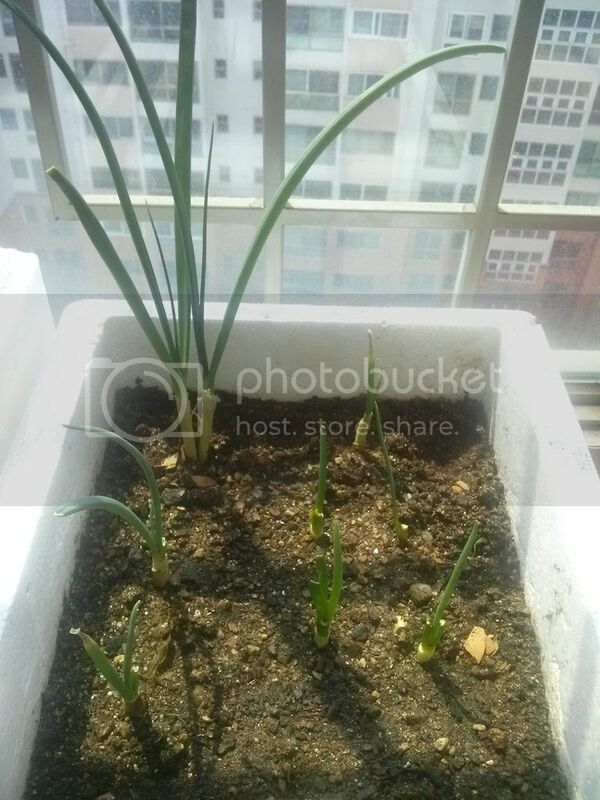 As soon as I see signs of rotting at the base, I transplant the onion leftover to the soil. Each shoot should be carefully divided so that each will have its own roots attached to it and transplanted to the soil. I have a never-ending supply of onion leeks since I started doing this. Each time I cut leeks for our consumption, the base just keep on regenerating. Amazing. It’s just a little amount of money saved, yes. But I find joy in seeing my plants grow.